Dr Tabrizian from Perth Australia presents his 10th book. Inflammation is the universal disease: everyone has it. Dr T explains (with his well recognised storyboard format) a generic model of why we get sick. 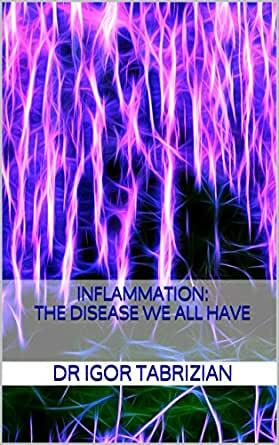 The factors affecting the process of chronic disease and chronic inflammation including Autoimmune diseases are laid out in a logical visual chapters. It also has a self help page to get readers on the path to understanding their genetic predisposition and lifestyle risk factors for the chronic diseases. This is a landmark work that explains why disease becomes chronic in everyone. Unsung Heroes : The amazing trace minerals! This book is such a find and an absolute must read for anyone battling ill health, and especially autoimmune problems. 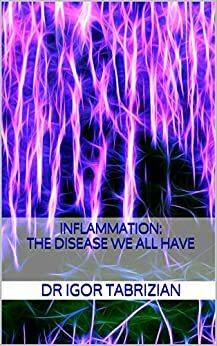 Dr Tabrizian explains so clearly the complex issue of inflammation, and why it is at the foundation of so many chronic health problems, and provides specific steps we can all take to measure our own inflammation levels and, most importantly , he explains what we can do to help ourselves. With an autoimmunity epidemic now a medical reality, this information is essential knowledge for those of us wanting to take charge of their own health and avoid a future of ever increasing poly pharmacy which treat the symptoms but not necessarily the root cause of ill health. It is also essential reading for any health practitioners who really want to help their patients to live well . Thankyou Dr Tabrizian. 4.0 out of 5 starsKnowledge is power when your Dr doesn't believe you. We know our bodies better than anyone and I have already had at my expense a hair toxity test and adrenal saliva test of which my Dr said I had just wasted a lot of money. These did show problems and this book has given me resources to follow up in Australia. Also the anti inflammatory foods to assist me in the process. I found it fascinating, I learnt something new and it also tells me that I am on the right track. An informative read from a medical practitioner who could put complex medical terms into easy to understand examples. I am curious to explore the advice on testing or suggested foods for members of my family suffering inflammation in many forms. Interesting. Definitely going to re read. Thank you for explaining to us as easily as possible. Backed up with research for the non believer. Really informative for a person like me suffering with an autoimmune disease. Easy to read and explained in a simple way. Definitely helpful! Very interesting. Probably requires more medical knowledge than I have but concepts are nicely explained.